The purpose of this post is to help you plan for next month, so you are receiving information in April for May. Those who signed up for blog posts receive this immediately. Those who signed up for newsletters receive it via email on the first Tuesday. The Feng Shui month begins on May 6 through June 5. It is an eight-earth month in 2019’s eight-earth year. Although eight represents prosperity, when an element doubles up it is too much of a good thing. An analogy is walking on the ground. Who doesn’t love touching Mother Earth? But then the ground turns to mud if not quicksand. Little progress is made and if anything is bogged down. Now compound this with 2019’s current 20-year period of eight, we now have an 8:8:8 combination. If you watched the YouTube video on the energy of 2019, I talked about the implications of 8:8. There’s more detail below and a high-level synopsis includes being stuck, injuries, miscommunication, and robbery; yet support for academia, relationships and getting noticed (just ensure it is for the right reasons). How do you use this information? Be proactive! After all, Feng Shui is risk management. Read the sections below for health, relationships, wealth, business and academia. Be proactive — I believe knowledge is power, meaning when (as an example) we know there is a possibility of a rain storm, we take an umbrella and drive more defensively. I’m a big fan of planning ahead and also prepare then go with the flow. Limbs are a flag again this month. Be mindful and careful. Another way you can use this information is if your Ming Gua or kua (birth number) is eight. This month’s influences impact you even more. Don’t know what your kua is? Use our free calculator. If you don’t know your hour of birth that’s okay. Just enter your day, month, and year of birth. Also select your birth gender as males calculate differently than females. Then select calculate. There are certain numbers we pay attention to because when the eight flies in, the surrounding numbers also change. That’s why this discipline is called flying stars. Those numbers are 2, 5, 7, 9 and others explained below. I’m listing where these numbers appear this month so that you can avoid the areas or implement a remedy. If you are wondering why the grid is flipped (North on bottom and South on top), I explained that in the video. Note: The recommendations below are based on timing (an 8 month in an 8 year, and the numbers that fly into a quadrant during May). There is more to it than this. The buildings you work or live in may need something entirely different. When buildings have been analyzed and diagnosed, they’ll receive a specific and strategic action plan that produces quantifiable results. So to my clients, utilize these recommendations only when the remedy (if one is provided) doesn’t conflict with your implementation plan. Let’s chat if you have questions. Two flies into the NE bringing stomach and gastrointestinal issues. Expectant mothers and elderly women should avoid the NE in May. The remedy is metal (objects) or the colors white, gray, or metallic/shiny gold or silver. Five flies into the SW. Avoiding this area is the best course of action. Renovation or construction in the SW should be avoided in May but really for all of 2019. Expectant mothers use another area. Miscommunication, project delays, and most initiatives aren’t supported here. Utilize a water feature or colors of blue or black for the year and for May, add moving metal (i.e., a clock with a gold or silver pendulum). Seven flies into the SE. Take precautions to avoid injuries by sharp metal objects. Utilize a water feature or colors of blue or black. SW shows stress, headaches, or a head injury. Communication doesn’t go well in this quadrant so take conversations elsewhere. Utilize a water feature or colors of blue or black. Nine flying into the NW is a tricky thing. This can bring about memory and prostate issues. Utilize earth (earthenware, rocks, or colors yellow, tan, or brown). Seven flies into the SE. A smooth-talking shyster might come calling. Utilize a water feature or colors of blue or black. Three flies into the South causing disagreements. Take conversations elsewhere if you want them to go smoothly. Nine flying into the NW is a tricky thing. This can bring about conflict and challenges of authority especially between males. Utilize earth (earthenware, rocks, or colors yellow, tan, or brown). Four flying into the North is good for networking, social occasions, relationships, and romance. Seven flies into the SE. This area is ripe for an intruder or being robbed. Move valuables out of this area for May. If you have windows or doors here, keep them closed and secure. Utilize a water feature or colors of blue or black. Nine flying into the NW in this instance is a good thing as it can positively help financial prospects. Nine flying into the NW in this instance is also a good thing as it helps to advance career and bring about job prospects; and combined with six flying into the East also helps careers and being noticed. North and West quadrants (not NW) help students and those involved with academics: good areas to study in and helps with focus. You’ll notice I don’t suggest “cures” such as statues and trinkets, crystals, salt-water bowls, and such. 1) These aren’t strong enough to shift the energy of a space (unless it is a tiny room) let alone the energy of a building. 2) We don’t cure energy. We negotiate with it. I leave cures up to healthcare and selfcare. It is so important to understand the energy of the structure you work or live in. A proper analysis reveals the past, present, and potential of the space – how it has, is, or can be utilized. Make informed decisions and manifest an awesome future. Contact us today to explore your options. Just want to know about you in 2019? Consider a personal strategy session. Want career insight? Or a relationship strategy session is about who to surround yourself with. Are you sleeping the wrong way? See the video on Good Day Columbus and check out the article showing research that’s been done. May 4 is a new moon – a good day to start projects. 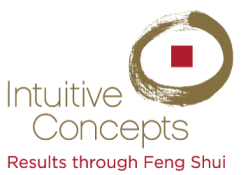 May 10 is 8 Feng Shui Secrets to Improve Your Medical Practice at Mt. Carmel’s 2019 Wellness Symposium. This event is closed to the public (for physicians and medical staff). May 18 is the full moon – a good day to complete projects. Since full moons affect us (think of the tides), avoid invasive medical procedures a couple days before and after a full moon.